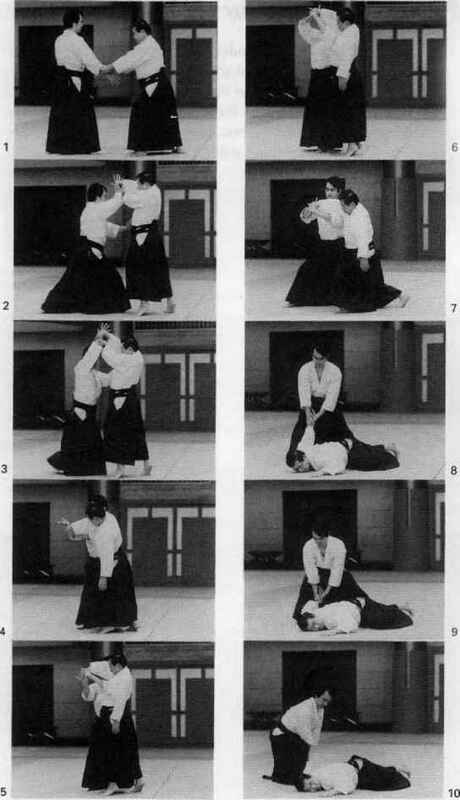 Uke grabs ton s right shoulder with his left hand. 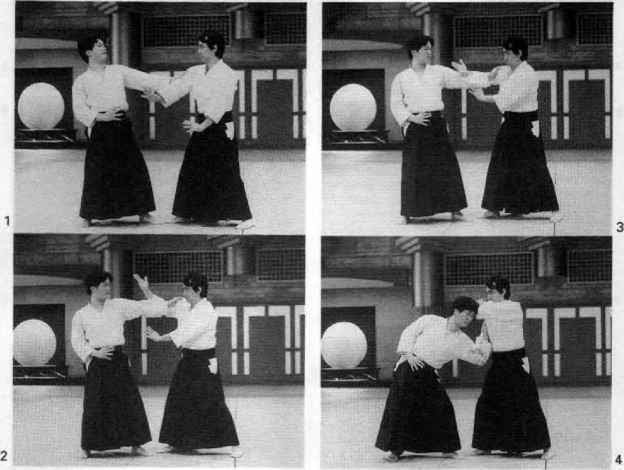 Ton'slides his right arm under uke's arm and presses down on uke s elbow joint in a circular motion with his right handsword. Tori turns his outstretched hand so that the palm is facing downward, brings his right hand-sword down into the crook of uke's elbow, and then pulls his own arms in tightly to his sides. Tori holds uke's hands firmly and twists, to bring uke\ head downward. Tori then places his right hand under uke's chin, and left hand on the back of uke's neck. 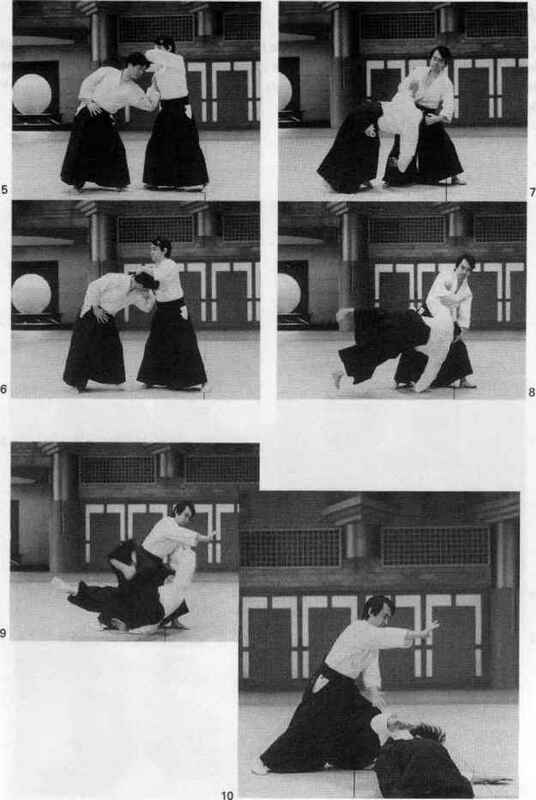 Finally, tori presses down on uke s head and twists his hips sharply to effect the throw.